Anton V. Rezek was born in Jankov, Bohemia (now Czech Republic)on 13 June 1842. His wife Maria Trachta was born in Budejovice, Bohemia on 28 July 1851. The couple married in Chicago on 17 June 1870. In 1880, they were living at 166 DeKoven Street (now 621 W. DeKoven Street). Maria died in May, 1926 in Grovertown, Indiana, and Anton died the following July, also in Grovertown. Anton is buried at St. Adalbert Cemetery in Niles, Illinois. For further details, contact the Chicago Genealogical Society. 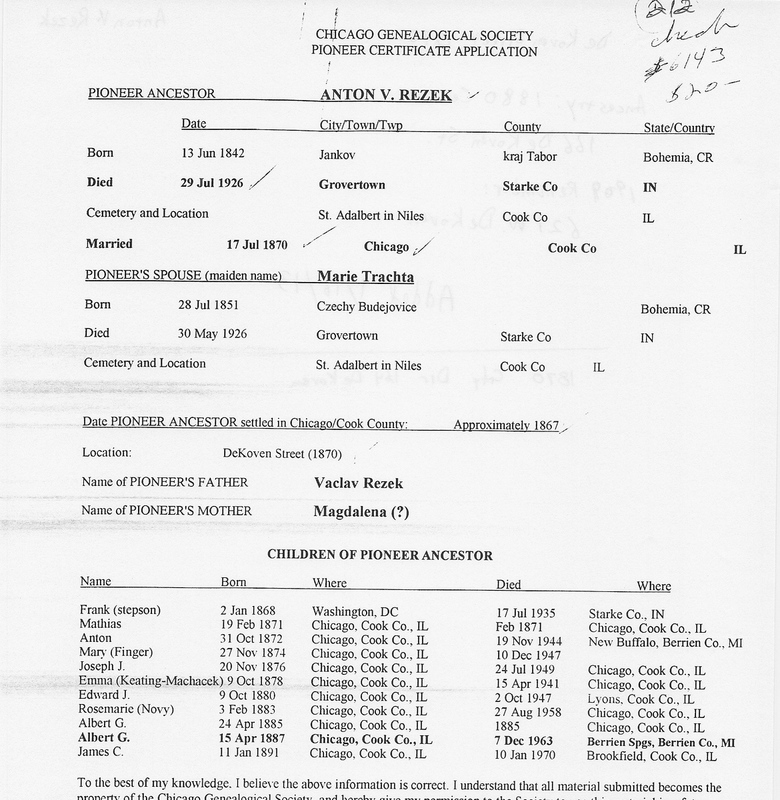 Anton V. Rezek is Pioneer Ancestor number 212-215.